We have been coming to City Limits 2-3 times a year for 11 years now, and look forward to coming back later in the year, probably after christmas for the sales. It is a great hotel, with friendly staff, in a fantastic position, and having onsite parking is just the icing on the cake. Very pleasant stay and met all of our requirements. Comfortable, spacious room; well maintained. Positive experience overall. Suggestions for improvement below, but they are fairly small. We were only in Melbourne for 2 days (our first visit) and found the location and apartment made getting around simple. We managed to fit in everything we hoped to do. Great. Just difficult to park. Very pleasant. Very convenient location. Easy place to stay and close to CBD. Simple breakfast saves time in the morning. We love to stay here when we visit Melbourne. 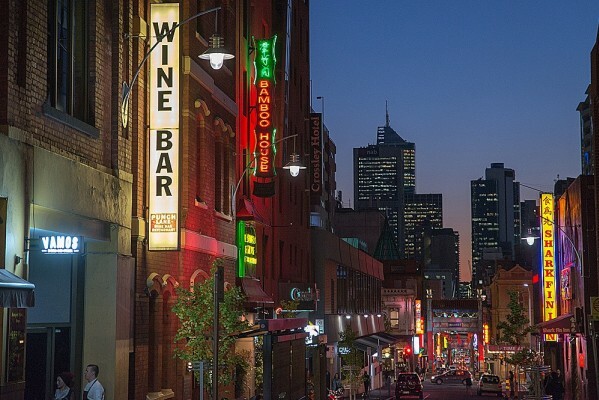 The hotel has everything we need and the location is wonderful, within walking distance to MCG, CBD and fabulous restaurants nearby. Had a really wonderful stay. Clean and comfortable. Strategic location. Helpful staff. Breakfast may be simple but really handy when we have to depart early morning for our day tours. I have stayed twice now and find the convenience to most locations, trams etc a real bonus. I love staying at The City Limits Hotel. I had a great experience. Peaceful, convenient location, comfortable and affordable with helpful staff. location, location, location oh and breakfast very convenient!! Convenient location to my convention it was the third time I have stayed here would recommend City Limits to my friends if they were visiting Melbourne. I was expecting a budget hotel. The rate for 2 of us was $129 per night and then for 3 of us $169. I was pleasantly surprised to the quality of the hotel. Great beds, quality rooms, decent bathroom and it even had a bathtub! It had a little kitchen area, with all the dishes you would need, along with a little fridge and microwave. I could have stayed there for a couple of weeks. Breakfast is also included in the price. The breakfast was little boxes of cereal, milk, juice and 2 pieces of bread each. Tea and coffee along with all the condiments for the toast were included - even vegemite!. I wish I could find more accommodation like this. Very hospitable allowing us into our room early, due to midnight horror flight from Perth. All staff were very polite and helpful. As always just right for us. We were given room 503 on our arrival. We were very happy with the room. On the Saturday we were asked to move to room 801 due to a crack in the basin in the bathroom. We did this but asked to be returned to room 503 the following morning as the hot water was not hot enough for a shower, the light did not function properly over the mirror, the heat pump did not work properly. We returned to room 503 for the remainder of our stay. We were satisfied with the room. We hope that the hand basin has now been repaired in 503. I have stayed here several times and always have a pleasurable experience. Clean, comfortable and close to everything. Great to have the continental breakfast too. Easy check-in and check-out, friendly staff, great facilities in accordance with what was advertised, comfortable bed, and the convenience of breakfast. Overall, a very enjoyable stay. Thank you! Overall it was great, I was very near the conference venue and to the shopping malls, which my family would have enjoyed if not for the jet lag and subsequent bad weather. Also the facilities inside the apartment were quite useful. It may be minor but I really appreciated the shampoo/liquid soap in dispensers. One downside though was the smell of cigarette smoke coming from the vent in the bathroom and reeked inside the entire bedroom. I thought maybe a tenant was smoking inside their room but found that our vent was near the fire exit instead where the smoker may have been. Anyway we found a quick fix and turned the exhuast fan on most of the time. Hopefully this problem will be addressed because cigarette smoke can be very noxious stimuli to us non-smokers. Cheers! Great position, very comfortable room, Have stayed in many more expensive hotels and not enjoyed them as much as City Limits. Staff was very friendly and helpful. hotel was clean and quiet. I forgot my bag with all my money and credit card in the Lobby of the hotel and later after visiting my grandfaters graveyard in the town I got it back from reception desk. They said that I was a very lucky man and I was indeed. I still am very thankful and recommend this hotel to everyone who is going to visit Melbourne. Our stay at City Limits was fantastic and the service is exceptionally good. The staff are also extremely friendly. The best we had in Australia in our 5 week stay. Well situated. Only one fault, internet service was down for too long while we stayed there (3 days). Very convenient, quiet, clean and comfortable. Would recommend to friends. Very friendly staff, room was spacious and comfortable. Location perfect. It is a very comfortable place to stay. Consistently meets expectation and very helpful staff. excellent location, friendly staffs , definitely value for money!! Very friendly and welcoming staff, lovely clean and spacious rooms. Very happy overall. Very satisfied. Would use this hotel again for a similar trip. hotel staff were welcoming, helpful in assisting us to locate specific needs and information, and very hospitable. Central location was much appreciated, as we do not drive. Within walking distance to most places we planned to visit and also close to public transit for more distant attractions. Use of laundry facilities was much appreciated. Thanks for booking a top floor unit for us as requested!